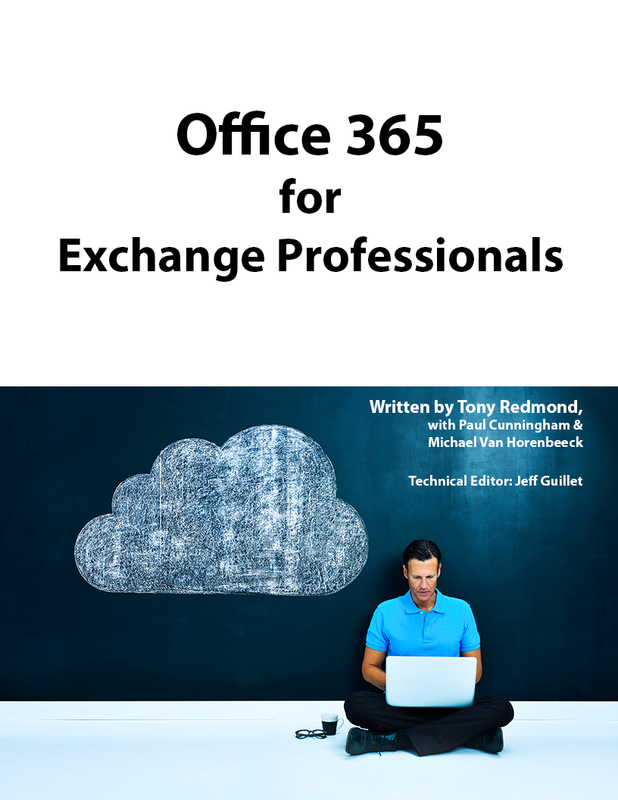 Office 365 for Exchange Professionals: The book is built! At 626 pages, we ended up with a much larger book than anticipated. Some sponsors will have copies for distribution at Microsoft Ignite, so if you attend the conference in Chicago next month, you can maybe pick up a copy. I’ll let you know the sponsors and the arrangements that they make for distribution later on in the month. If you’re at Ignite, make sure to come by my “Bumps and Blips on the Road to Cloud Nirvana: From On-Premises Microsoft Exchange to Office 365” session (BRK2164) on Thursday at 1:30PM. You never know what might happen there. But if you’re not going to Ignite, you can head over to the book’s sales site and buy a downloadable copy. We will make copies available on May 4. The first version is only the start of this eBook. Because Office 365 changes so quickly, we plan to make updated versions available on a regular basis. Because we have been heads-down to get the first version out the door, we have not figured out how to price updates, but we will get to that over the next week or so. 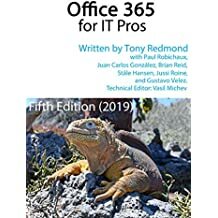 This entry was posted in Exchange, Office 365 and tagged book, eBook, Microsoft Ignite, Office 365, Office 365 for Exchange Professionals. Bookmark the permalink. 5 Responses to Office 365 for Exchange Professionals: The book is built! Looking forward to reading the book. Thanks Tony!! Any chance to have also a MOBI format? MOBI = Amazon Kindle format. We have built one but it’s not as good as we would like because of some problems with fonts. We’re still considering what we might do. Yes, exactly – Kindle can’t read EPUB and PDF is, well, not my favorite one (ok, depends on the device used). I don’t know if I’m the only one interested (hopefully not 😉 ), but I really hope you find the way to publish also that third format . We’re looking into it. There are some issues in dealing with Amazon that we have to resolve as well, but we’re looking at it.